These polymer clay unicorns are totally magical! Add them to your collection or turn them into a BFF necklace! 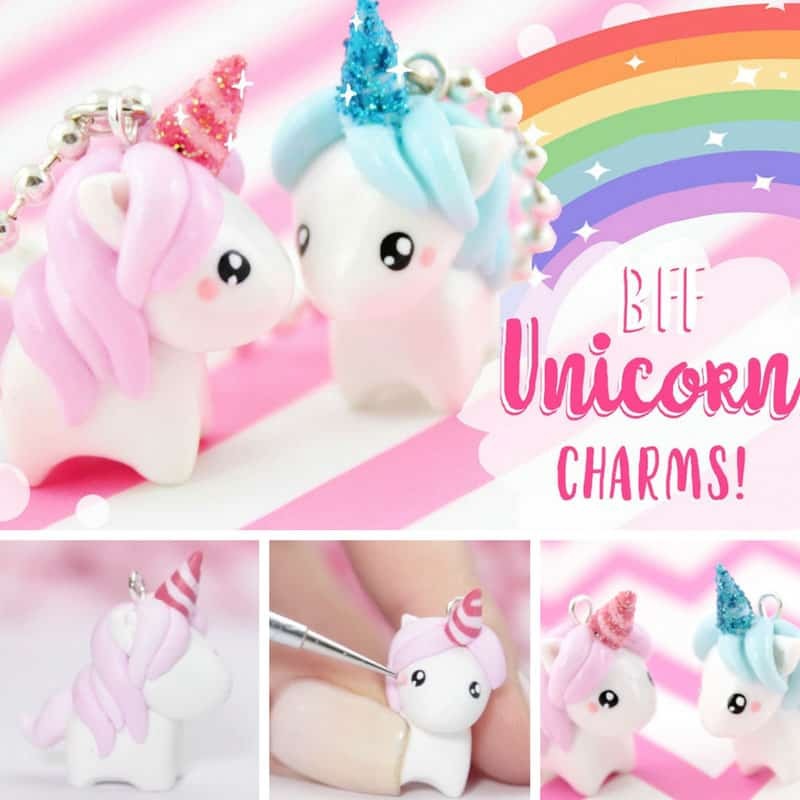 We’re so excited to share this video tutorial with you because we fell in love with these little DIY unicorn charms the moment we saw them! They make the perfect charm for a necklace or if you have a unicorn collection you could just go ahead and add them to the shelf. 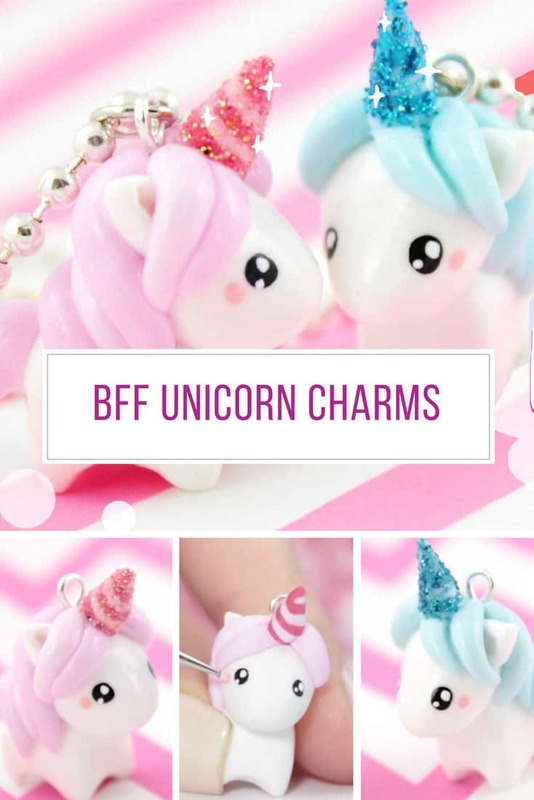 Watch the video tutorial first and then you can let your imagination run wild to personalise your own unicorn charms. You could add wings to turn them into pegasus, or maybe use multiple clay colours to give them a rainbow mane!